Fan Forum > Requests > Good Girls Campaign: They are done playing by the rules. 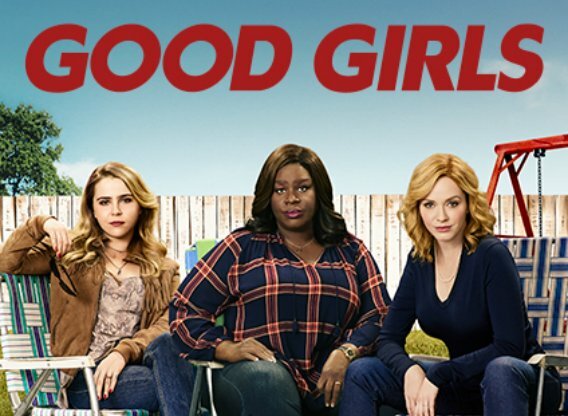 Good Girls Campaign: They are done playing by the rules. The series follows three suburban Detroit mothers, two of whom are sisters, who are having a hard time trying to make ends meet. They are tired of having everything taken away from them so they decide to pull off an unlikely heist by robbing a supermarket, only to discover that they're in for more than they bargained. Their successful robbery attracts the attention of the store manager after he recognizes one of the women, but for a different reason altogether than just the money. It's drawn me in so fast. Only got into it days ago and it's already a top favorite.... maybe of all time. Thanks for the add! Hoping more people join the board. You're welcome! I hope so, too. I would love to have a board for the show! i made a thread for it in the tv thread a while back but nobody ever posted in it. I'll be at both threads if y'all are! I'll also be on the Brio couples thread, too. I'll remind you if you want. You should definitely catch up ASAP. So much goodness!